It had been a good few weeks since I had walked through the Gorge, but the sign wasn’t there before. I was with my son so was obviously (well, maybe not obviously!) more focused on maintaining his safety and relative non-muddiness than taking good photos, so apologies. I hadn’t come across a reference to a Holy Well here before. 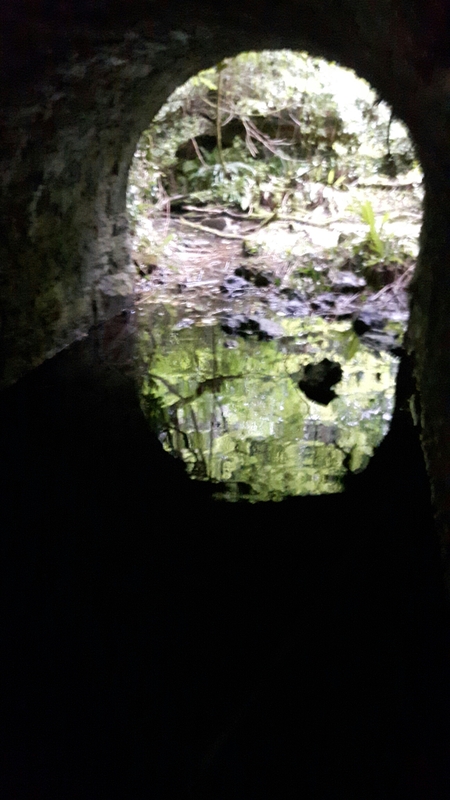 The superb Pilgrimage in Medieval Ireland blog has posts on St Patrick’s Well in Marlfield and the lesser known Rag Well also in Clonmel. There was no sign of any devotional activity of any kind as far as I could see. There was no sign of an bullaun or any of the structures I would usually associate with even a neglected well. To be honest it looked more like a bridge under which water from a nearby stream had pooled. You give no info on location ! Is this the Wilderness Gorge in Clonmel on the old Clonmel-Thurles railway. I grew up in Clonmel and this was my play ground. 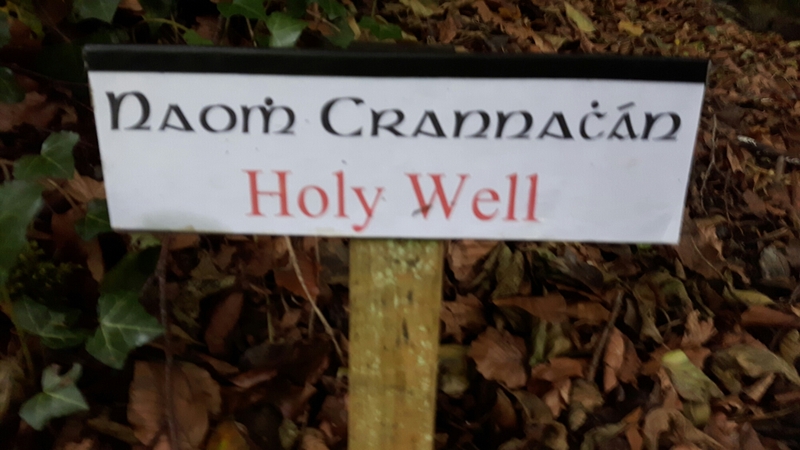 Never heard of Naomh Crannachán or a holy well. Sorry didn’t have info on location – where I mean is the pond and walk near to the Council recycling centre! I am a recent Clonmel transplant so may be misusing the term. It does seem that the well is an invention of very very recent times….but who or why I don’t know!